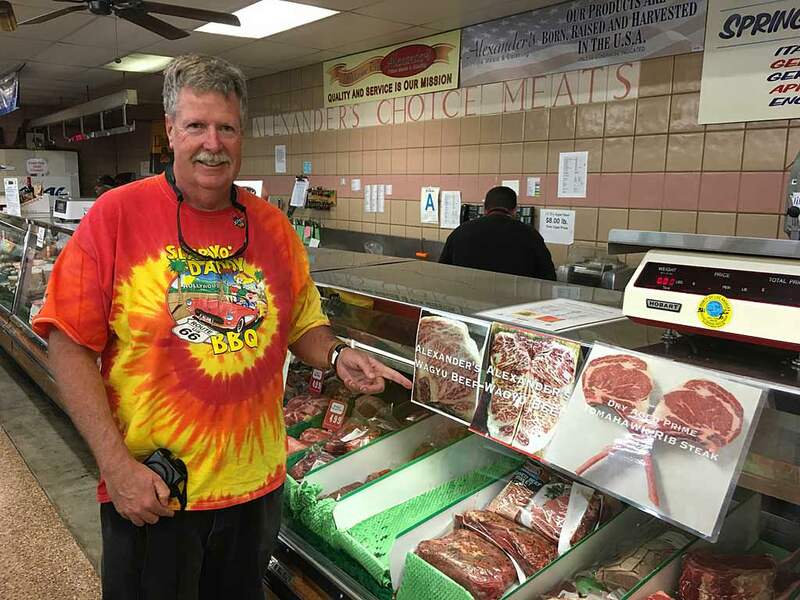 I was introduced to Alexander's Prime Meats by Paul Brown, the Mad Meat Genius, while judging barbecue at the 2017 Santa Anita Winners Circle BBQ Championship in nearby Arcadia. 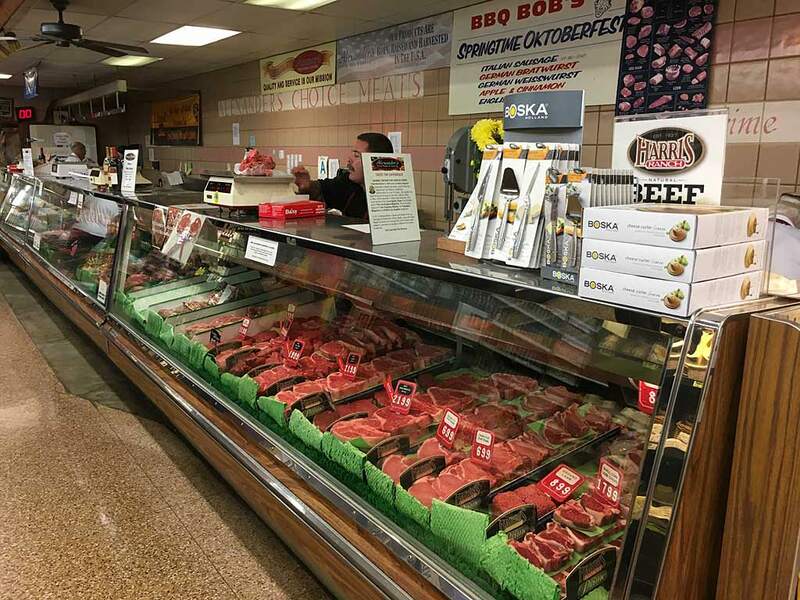 Alexander's is an old-fashioned butcher shop located in the back of a full-service, family owned gourmet grocery store. 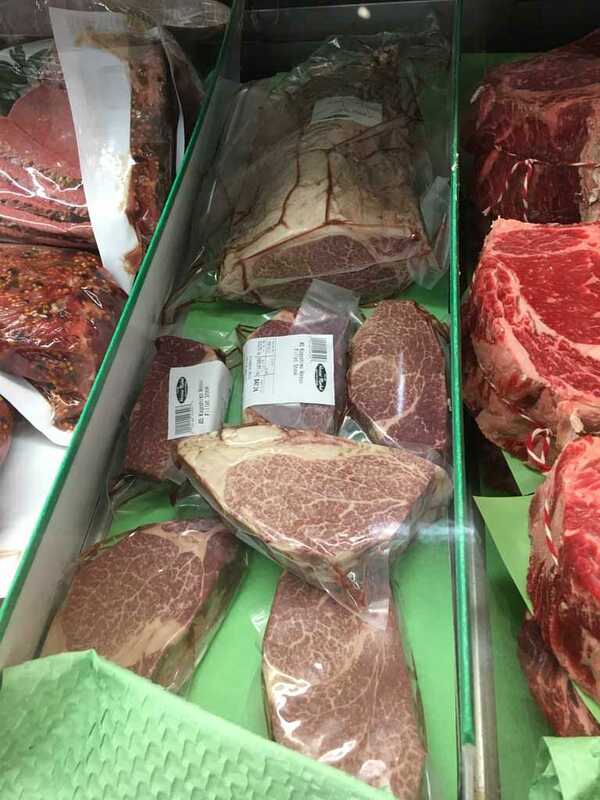 They're cutting meat from sides of beef that you can see dry-aging behind glass in large coolers. 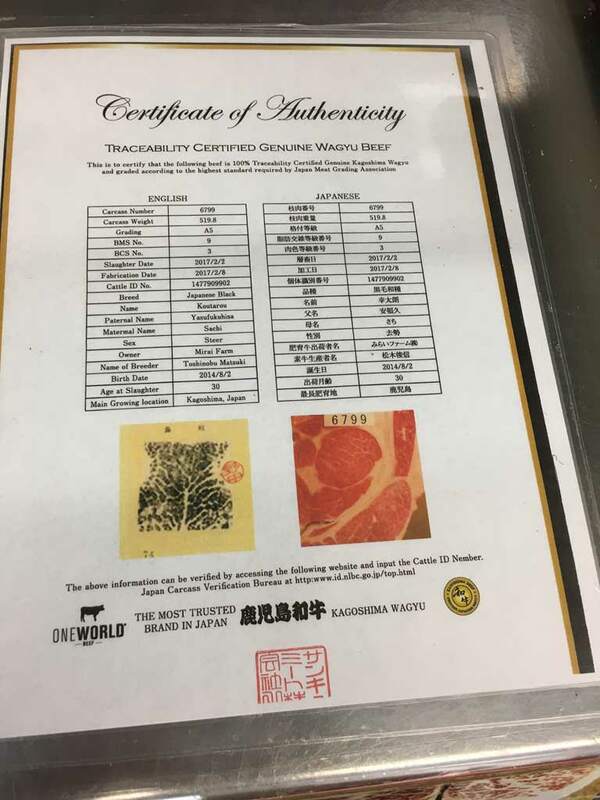 One of their specialties is offering USDA Prime beef at pretty good prices, and they've got some real-deal Japanese Wagyu beef with the Certificate of Authenticity to prove it. 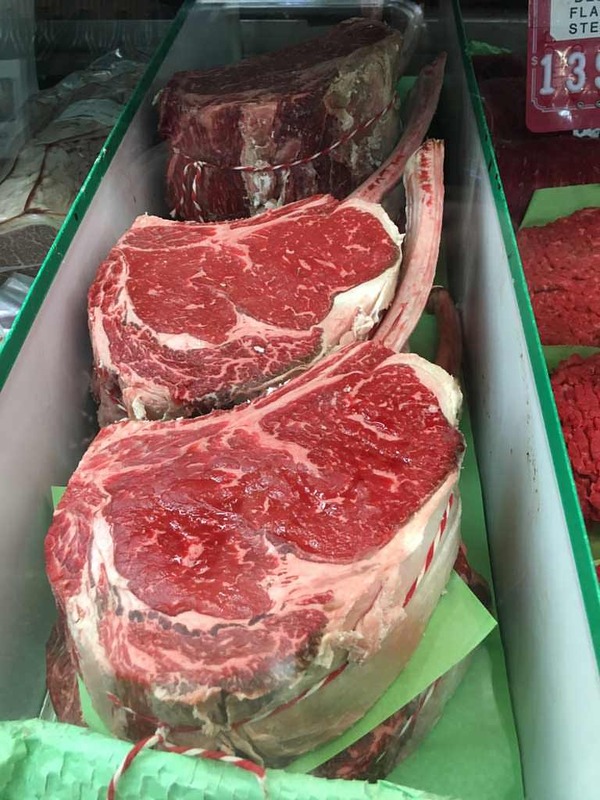 Paul and I picked up a variety of cuts...I grabbed a couple of ribeye steaks and a custom-cut, super-thick, dry-aged Porterhouse. 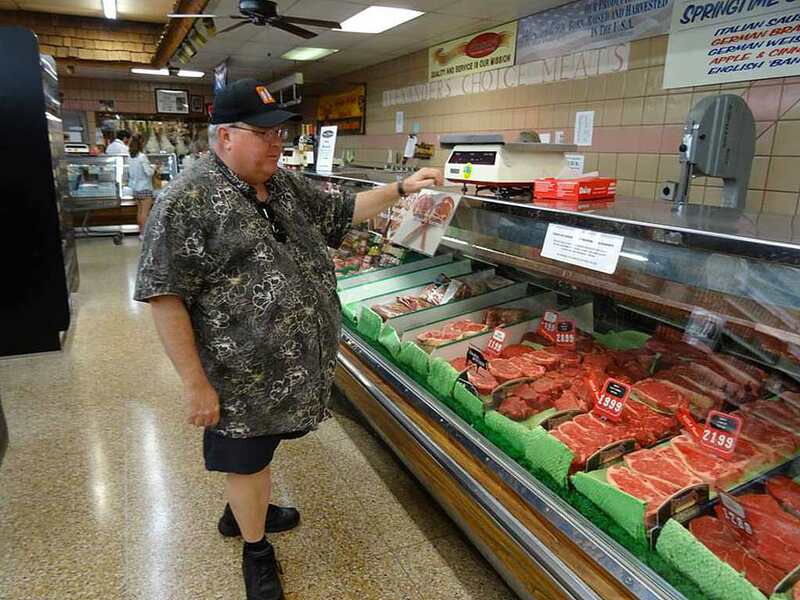 Paul took home his own custom Porterhouse and sprung for a Wagyu filet that he says was fabulous. 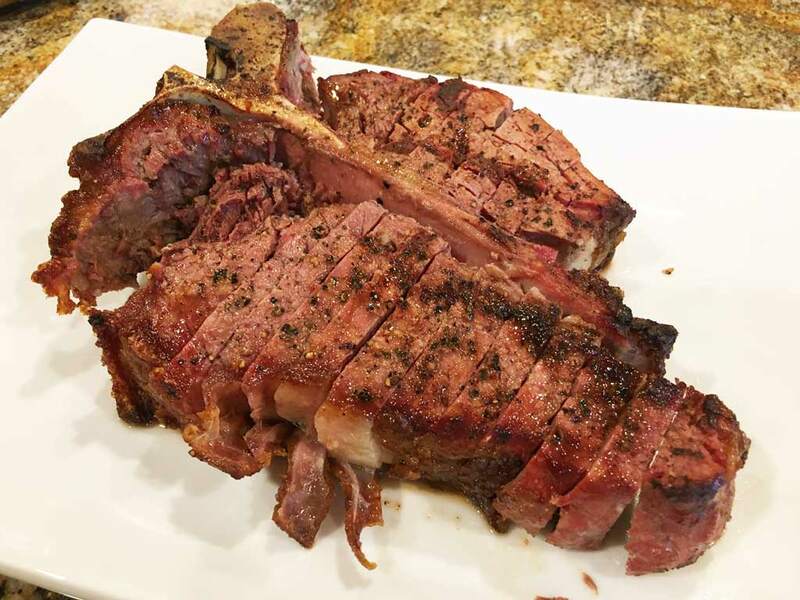 Here are some pics, including how I grilled that Porterhouse on my Weber Summit charcoal grill. Enjoy! Oh my ..................... that's mouth watering. 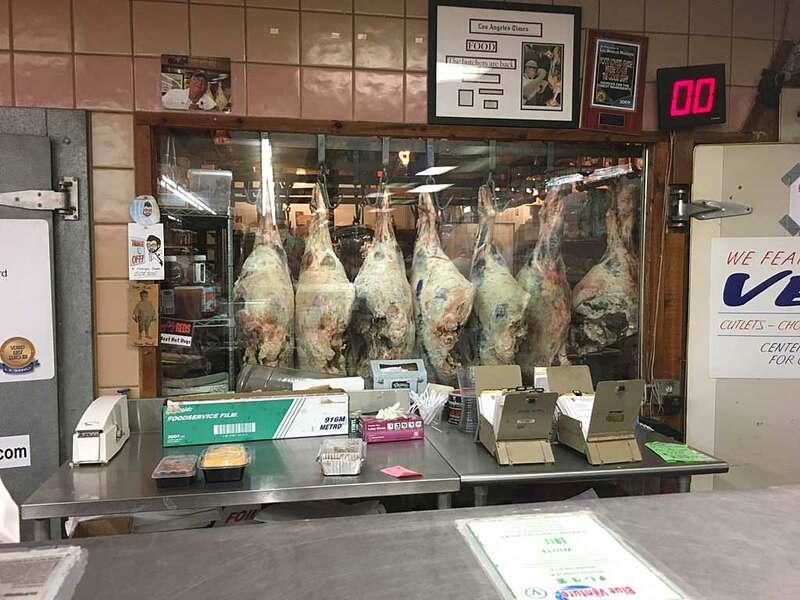 That looks like an awesome butcher shop! That porterhouse looks unbelievable! 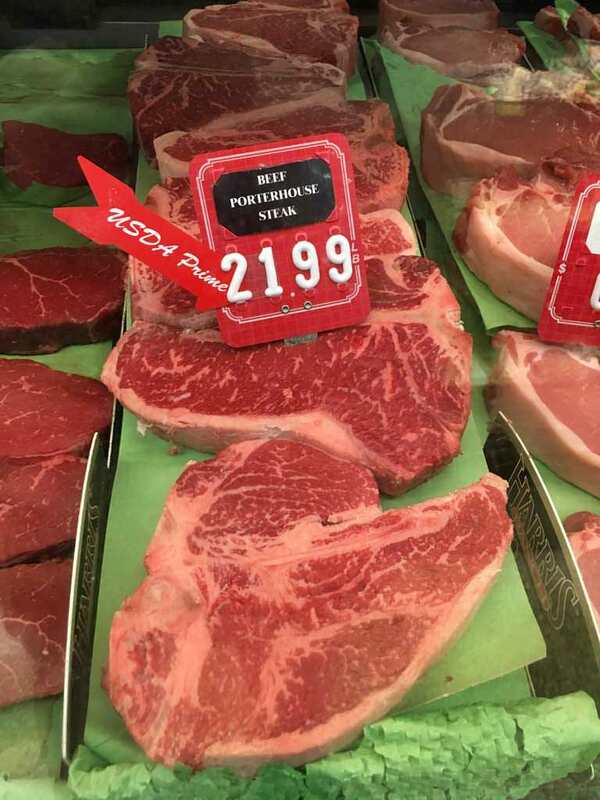 Did you reverse sear the porterhouse ? 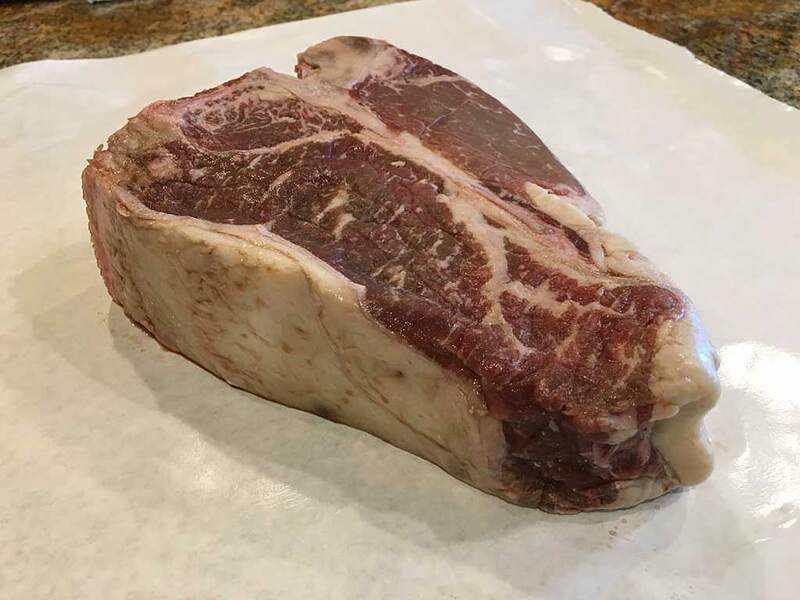 A steak that thick would almost have to be reverse seared. Yes, that's right. 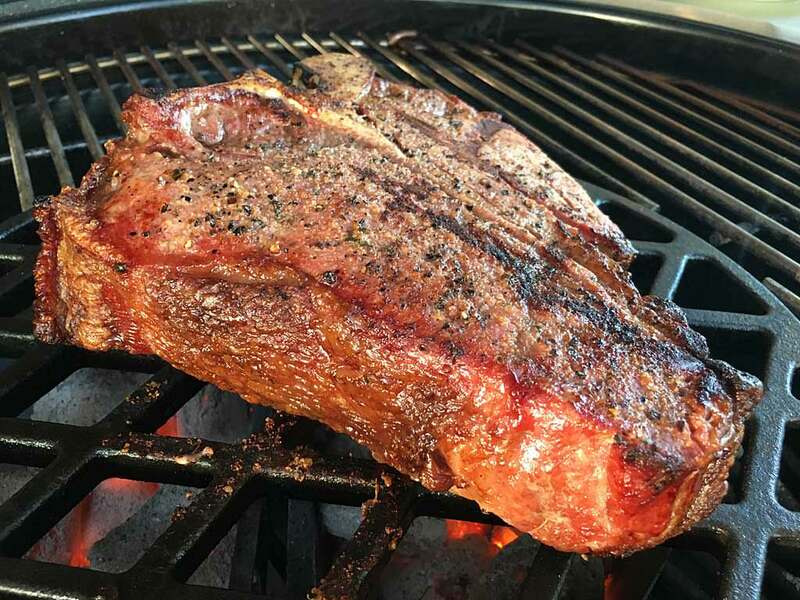 I had the charcoal in two Weber Char-Baskets arranged in a v-shape on one side of the Summit and placed the steak in the indirect heat area between them. Then I brought the baskets together in a circle under the Summit's cast iron searing grate and did the reverse sear at the end. I'd faint if I saw a full service butcher shop in these parts. For a minute there, you lost me when you mentioned cooking steaks on a Weber Summit. I thought the Summit was a gas grill, and then it dawned on me about Weber's new version of the green egg look alike. 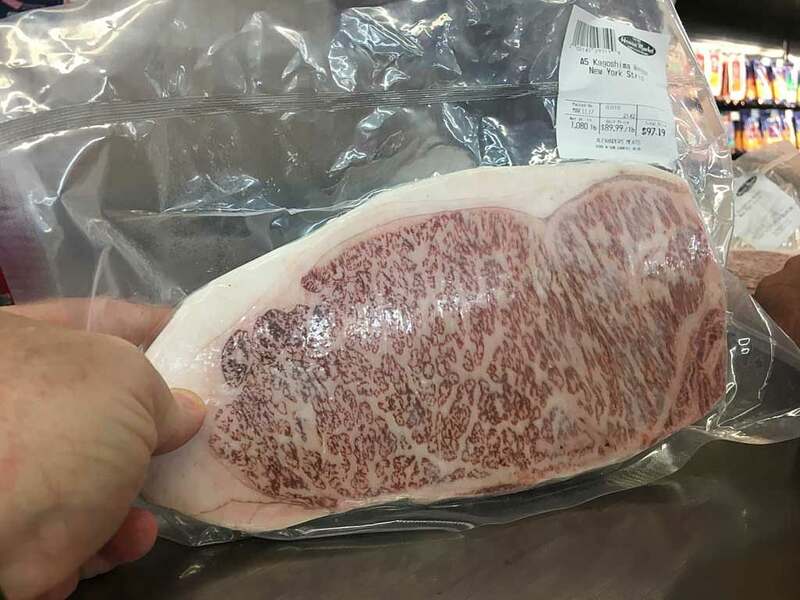 I'd like to try some of there goods...The Wagyu looks incredible. Did you share that Steak with the wife or was it coveted by you.